July 18, 2016 By Ken Crawford & filed under All Articles, Personal Defense Equipment. As a community, we tend to obsess over the latest and greatest gun, bullet, holster, or other item that we believe may give us some advantage. In the realm of personal defense, what gives us the best advantage is our ability to understand which threats are most likely to occur in our neighborhoods, workplaces, and lifestyles. Our ability to recognize a potential attack, how that attack develops, and how to respond appropriately, comes from training frequently and realistically. We take in most of the data from our environment visually, but our ability to detect and process sounds often proves to be more useful. I’m going to discuss that ability to discern sound, as well as the importance of protecting our physical ability to discern sound. When in public, our ability to see can be diminished due to lack of lighting or obstructions in our viewing plane. This is where our auditory capabilities can help us detect and possibly avoid potential danger. Even when we have full visibility, at times our auditory capabilities may provide us with vital information that accompanies what we are seeing. The vocal inflection we hear from others helps us determine the importance of their words. For example, under certain circumstances, our ability to hear an unknown aggressive individual quickly inhale a large amount of air may be all we need to recognize a potentially violent attack. Similarly, the sound of someone walking in our home when we are alone provides us with information about how we may evade the danger, or if we can’t evade, what we can then do to make us safer. Additional examples abound. This understanding of the importance of hearing in our ability to protect ourselves and our loved ones is why it is equally important to understand how to protect our hearing. I spend 40 to 60 hours per week managing shooters and the range personnel at Reno Guns & Range. 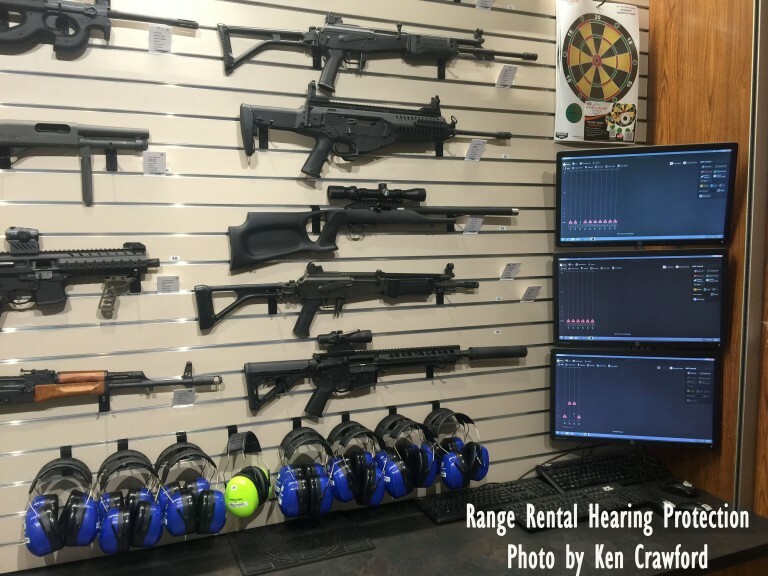 Over the past eight months, I have come to understand the advantages and disadvantages of different types of hearing protection as it relates to the firearms training environment. On a daily basis, we have shooters who, after being advised of the importance of hearing protection for shooting, must sign a waiver that affirms they will wear hearing protection. Additionally, they read a sign that reminds them they must don eye and ear protection before entering the range. 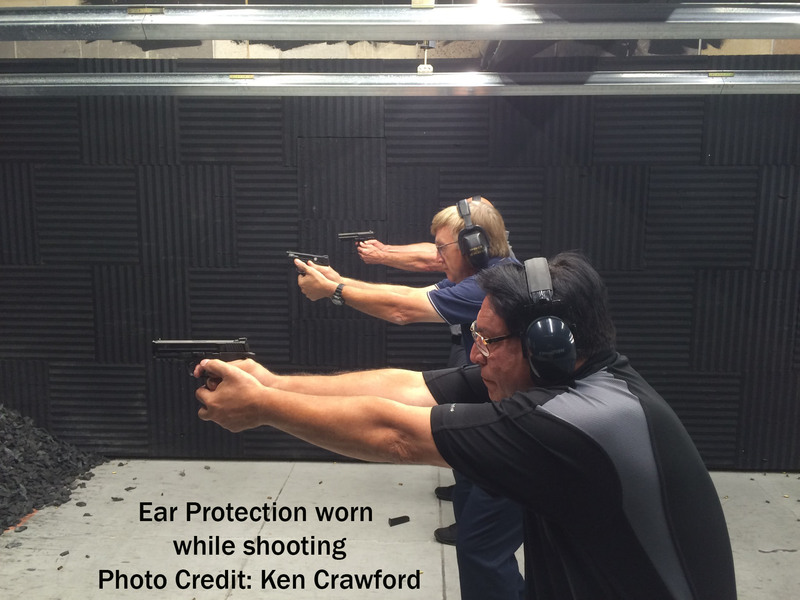 There are two different ways we can protect our hearing while shooting. One is by placing a hearing protection device in our outer ear canal (earplugs). The other is by wearing over-the-ear cups with a seal (earmuffs). Both ways have different variations including the ability to amplify “normal” sound while cutting off “shooting” sound. We’ll look at those options later. For now let’s focus on the distinction between “normal” vs “shooting” sounds, and why it is important to differentiate. Sound is measured in decibels, and the unit of measure is designated “dB.” A normal conversation that occurs between three to five feet is between approximately 40 and 70 dB. A gun that does not have a suppressor can be between 140 and 190 dB. These are very important numbers to know, because NIOSH (National Institute for Occupational Safety and Health) has stated that prolonged exposure over 85 dB may cause hearing loss. Exposure to approximately 125 dB may cause pain. Sound has different frequencies and the unit of measure for that is hertz, designated “Hz.” The frequency we can usually hear is between 20 and 20,000 Hz. The average man’s speaking voice, for example, typically has a fundamental frequency between 85 and 155 Hz. A woman’s speech range is about 165 to 255 Hz, and a child’s voice typically ranges from 250 to 300 Hz and higher. A high-pitched woman’s scream can go up to approximately 3,000 Hz. Why is understanding sound so important? We know that noise-induced hearing loss (NIHL) usually affects the high frequencies first. While we may “hear” sound at lower frequencies, it is our ability to “hear” higher frequencies that gives us the ability to discern what is actually being said or, in the extreme, hear calls for help. 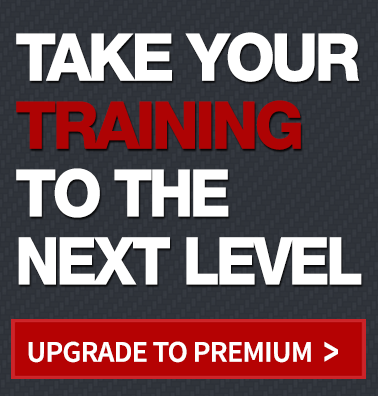 Many people (including me) advocate physical fitness, regular combative training, and firearms training, but all of this training may fail if you don’t have the ability to recognize the need to put your training into action. 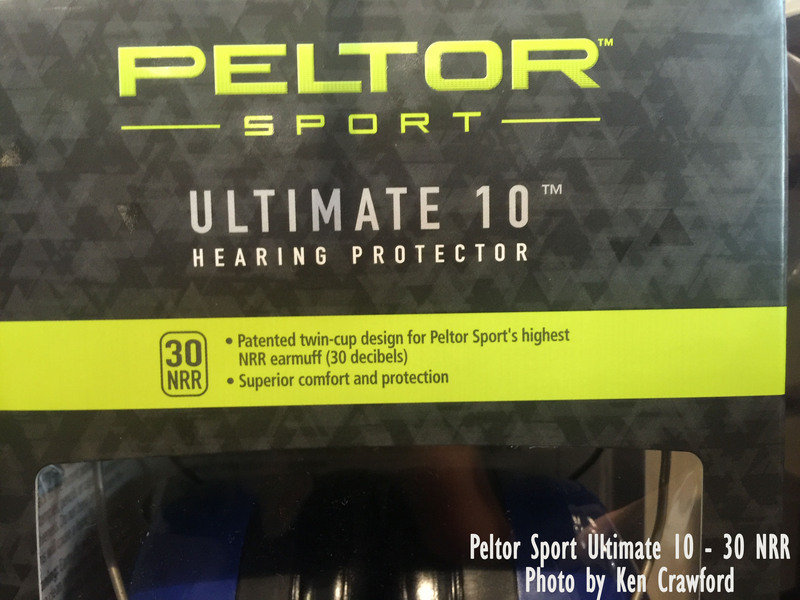 All hearing protection has an NRR (Noise Reduction Rating). The higher the rating, the better protection from sound if used properly. In-the-ear formable plugs (“foamies”) have a higher NRR (up to NRR 33) than over-the-ear muffs (up to NRR 31). When combined, the general rule of thumb is an improvement of 5 dB may be achieved. I recommend traditional hearing protection for shooting for both indoor and outdoor recreational shooting. Traditional hearing protection works by simply blocking out sound through the seal and density of the material being utilized. Utilizing formable plugs with quality earmuffs will substantially lower the risk of hearing loss. When shooting rifles or shotguns, I recommend getting lower-profile earmuffs to allow for a cheek weld without disrupting the seal of the earmuff if possible. Lower-profile muffs have smaller cups, which let you press your cheek closer to the gun stock, which permits better intuitive unsighted and intuitive sighted fire. For training environments where it may be difficult to hear commands given by the instructor, I recommend formable plugs with electronic hearing protection. This can be achieved by combining traditional plugs with electronic earmuffs, or on the higher end models, the electronic hearing is in the earplug itself. Electronic hearing protection works in two different ways. Older or cheaper models use a “stop gate” technology. These earmuffs amplify low-level sounds, and when the sound level picked up by the external microphones reaches a dangerous level, the amplifier simply turns off, leaving the user with the passive protection provided by the earmuffs. When the dangerous sound goes away, the amplifier resumes amplifying the environmental sounds. The speed at which the amplifier can switch between off and on is referred to as the “attack time.” The faster the attack time, the less the user is cut off from being able to hear what is going on around him. More expensive and advanced models feature the latest amplifier technology, generally referred to as “sound compression.” This technology lets you continue to hear all sounds in the environment, but compressed into a lower-volume stream of sound that is essentially continuous, without the on-off sound you get with stop-gate technology. With sound compression, you hear more than you can without the earmuffs, but all at a safe volume level. Custom earplugs, either traditional or electronic, are specifically made to fit your ear canal by an otolaryngologist, or hearing aid professional. These are often cost prohibitive, so let’s look at what is commercially available and how to use them correctly. Earplugs should be rolled between the index finger and thumb, starting at the narrow end of the earplug. Once that is completed, pull back on the top of the ear you are inserting the earplug into to straighten the ear canal, and gently insert the earplug into the ear canal until it stops. Once it stops, let go of your ear lobe while holding the earplug in place as the material expands to form a good seal. Turn your head from side to side to ensure the earplug doesn’t fall out. Repeat the process for the other ear. For earmuffs to work properly, they must form a complete seal around the ear. This seal is often compromised by eye protection, hair, and earrings. Prior to putting on the earmuffs, remove any earrings that dangle or may cause the seal of the earmuff to distort. Long hair needs to be pulled back and not allowed to bunch up between the seal of the earmuff cup and the head. Place the front of the earmuff cup as far back as you can while still completely covering the ear. This will minimize the distortion of the earmuff cup caused by the temple arms of the eye protection. If, after you put your eye and ear protection on, you experience pain or discomfort from the loud noise, remove yourself from the firing line and ensure that your protective equipment is fitted properly. Do not overexpose yourself or “tough it out.” The damage caused by not properly using hearing protection for shooting may be permanent. I ask those of you who frequent ranges to carry extra earplugs, and to offer some friendly assistance to those who may not have any, or who you see are suffering. 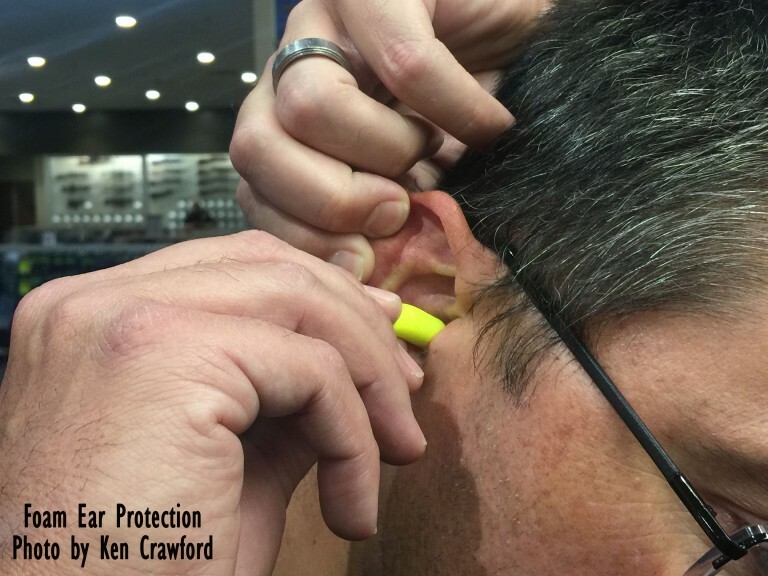 Giving someone earplugs or a little advice on how to wear earmuffs may make the difference between enjoying their experience and becoming part of the responsible firearms community, or a painful experience that they won’t recommend to a friend. As one who suffers from hearing loss, I strongly recommend hearing protection. Very informative discussion. I have heard and read that foam plugs do nothing to attenuate the bone conduction of harmful sound wave impulses. And wearing them is helpful to an extent, but you can still get hearing damage from bone conduction – not dampened by foam plugs. So, a combination of foam plugs and over the ear cup type devices may be necessary for the best protection. You missed SensGard Zem hearing protection. It works on a different principle than any of the above. As an NRA instructor, I’ve worn them during monthly classes for several years. It significantly reduces the impulse sounds while allowing me to hear conversations. They are not as good at that as good electronic muffs/plugs. But they are much better than non-electric muffs or plugs, and much less expensive than electronic muffs. This was excellent, hearing loss is no joke, and you need to protect yourself all the time. That’s why I’m going to get those new electronic ones. Great information here. I have extreme hearing loss in one ear from a childhood illness, and I take great care to protect my good ear from any possible damage. The article was very informative and cover all of the salient facts associated with hearing loss/noise exposure. During my career as a military safety officer and a governmental safety professional I’ve notice my issues with the wearing of hearing protection. The primary one was proper care. Hair oil will harden the cushions on earmuffs. Periodic inspections are necessary. Again the article was well written. Thank you. I’m Range Master at a shooting range in Alabama and I’ve tried every headset out there for hearing protection. I have to listen to everything and I found this company Msa Sordin very high dollar but it amplifies the ambient sound and you can stand next to a Barrett and I won’t go over 82 dB. 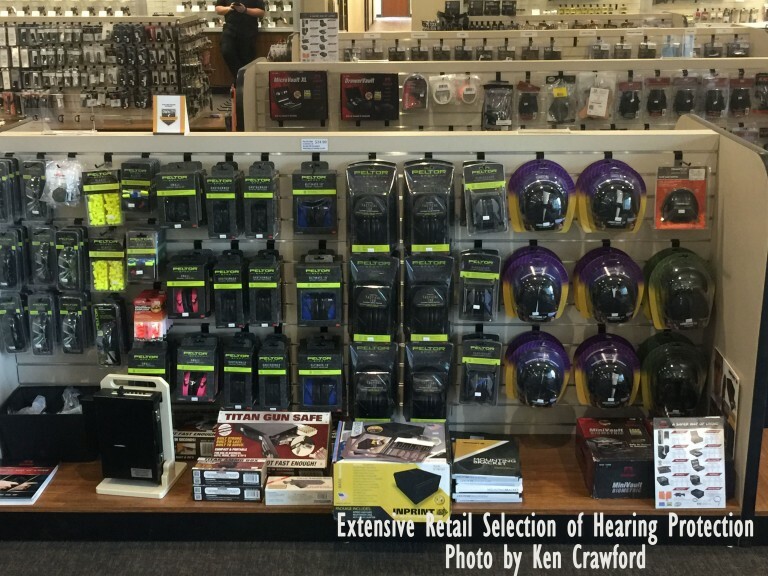 If you’re going to be at the range a lot and you want to save what hearing you have, please buy quality! Don’t get me wrong Howard Leigh and companies like that are very good. Definitely not a Msa they have them on Amazon but plan on spending about $350 . 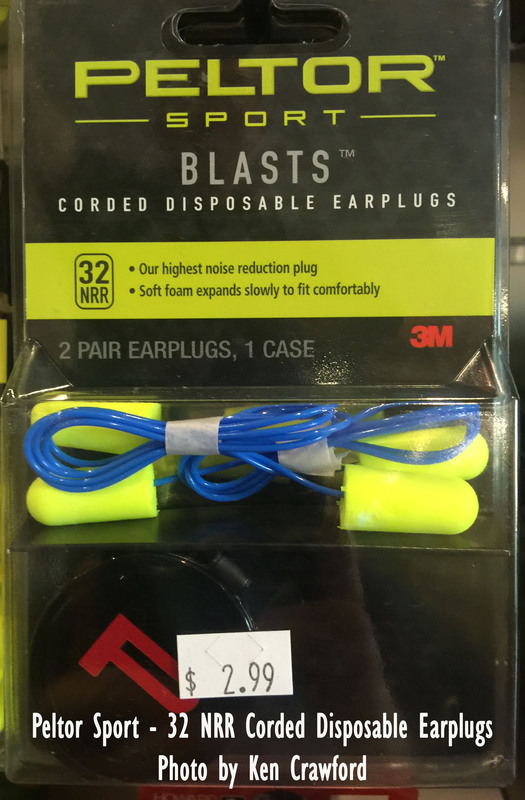 Nothing can beat the comfort of foam ear plugs. My opinion. I have a very small ear canal in one ear so that the foam ear plugs do not work well. 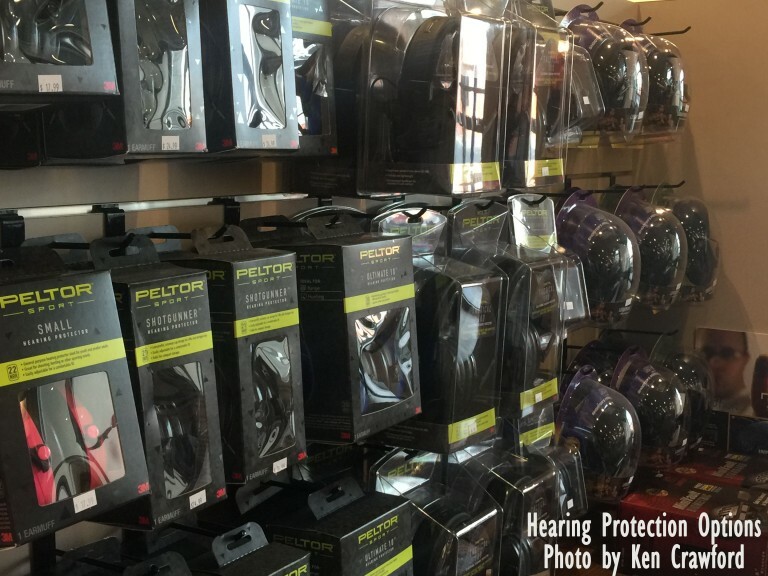 There is nothing you can do to restore your “original equipment” hearing once you have damaged it through a lack of hearing protection when shooting, operating loud tools or machinery or listening to loud music at concerts or even your phone or pod. I use both plugs and earmuffs after losing much of my hearing in the military. Protect your ears! I hope I can use them if and when the need arises to use my weapon in a self-defense situation. I was prepared to use my shotgun against three intruders during a potential home invasion 5 days ago around 12 noon. It happened so fast and I was already on the phone with a sheriff when the intruders rushed my driveway and one was already in the backyard within a few seconds. No time to even think about anything else except grabbing your shotgun (in my case) and tactically positioning yourself. My ear protection is on my nightstand but there was no time to put them on because all occurred unexpectedly and almost surrealistically. If I had fired a shot and especially more than one, I might have incurred permanent hearing loss or damage. Maybe practice wearing hearing aid at all times and then remove them periodically? Good article. I have found that most shooting glasses are designed in such a way that the ear pieces break the seal of the over the ear muff style hearing protection. The worst seem to be the “sport” type that bow out and away from the temple.